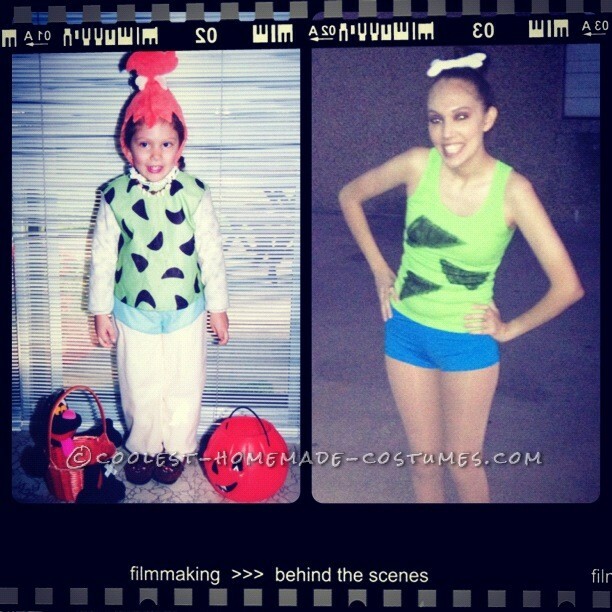 This Halloween, I wanted to be Pebbles! 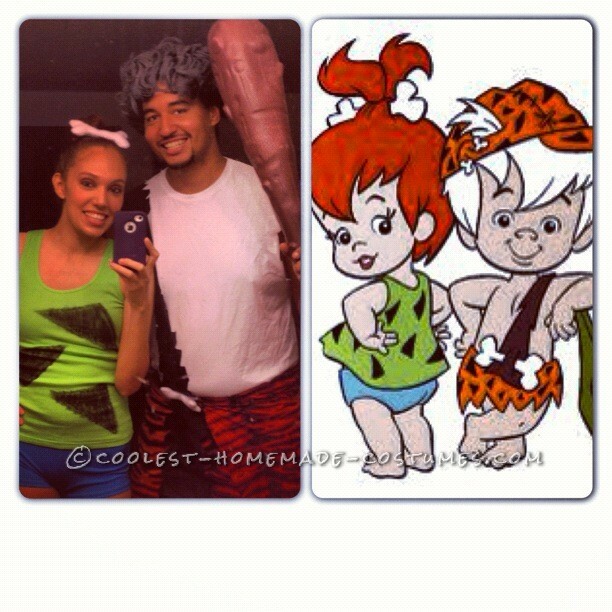 I was Pebbles when I was 4 years old but this Halloween I was like “I want to be grown-up Pebbles!” Oh, and the fact I finally found my Bamm-Bamm. mail too! Then I went on to eBay or you can go hunting around for a lime green tank top. I got mine off eBay just because it was easier for me. It’s best to get a tank top that is shorter because Pebbles has a short top. I also was thinking I need to get our bones! One for my hair and a little bone for my boyfriend’s costume! So I contacted an old friend through Facebook. We were best friend’s in 3rd grade and reconnected through Facebook! She makes bows so I asked her to make me my hair bone and my boyfriend’s bone! After I got ALL the ordering out of the way, I went to JoAnn’s Fabric store and got a big fabric marker to make Pebble’s triangles on her shirt. I work at a grocery store so I got one of our left over cardboard boxes and cut up a triangle for the tank top. Pebbles was easy to do, no-sewing involved! Bamm-Bamm was a little different. 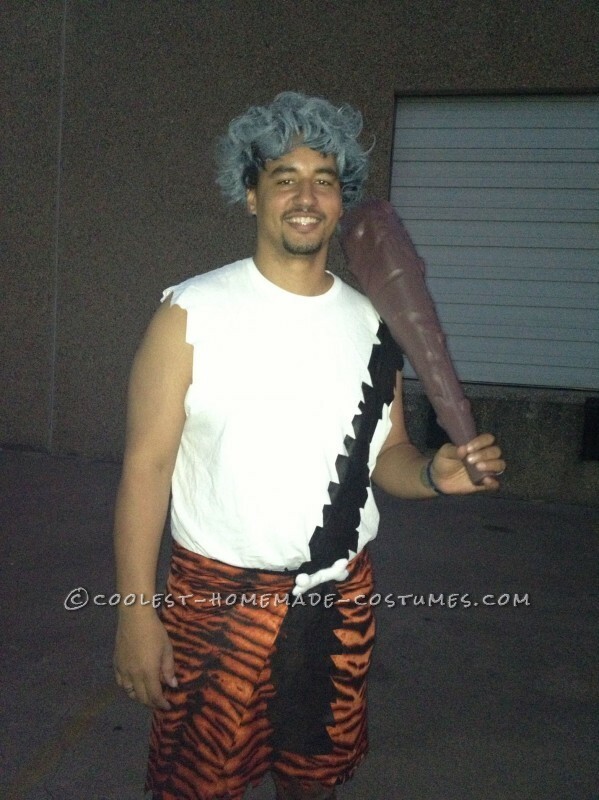 I was going by the cartoon picture of Bamm-Bamm costume as my guide. I gave my boyfriend the option of picking out his material. We went back to JoAnn’s together and basically measured him at the store. He picked out the orange tiger-looking material because he didn’t want me to draw triangles and it would be easier according to him. I had a coupon for JoAnn’s so his material was less than $20. Later on, I designed it on him while the material was on him and pinned him and everything. I told him wear whatever shorts you want to wear underneath so he can get a feel to make sure he’s comfortable in the material. Then I went to my grandma’s house because she has a sewing machine. It took me longer to design it than for her to sew it! She was like “that was it? !” It was cute. The strap/stash we sewed on the back of the inside of the “skirt” and then later I styled the “skirt” and his strap/stash. My boyfriend had an old rocker wig from a couple Halloween’s ago so he cut and trimmed the wig and spray painted it white. 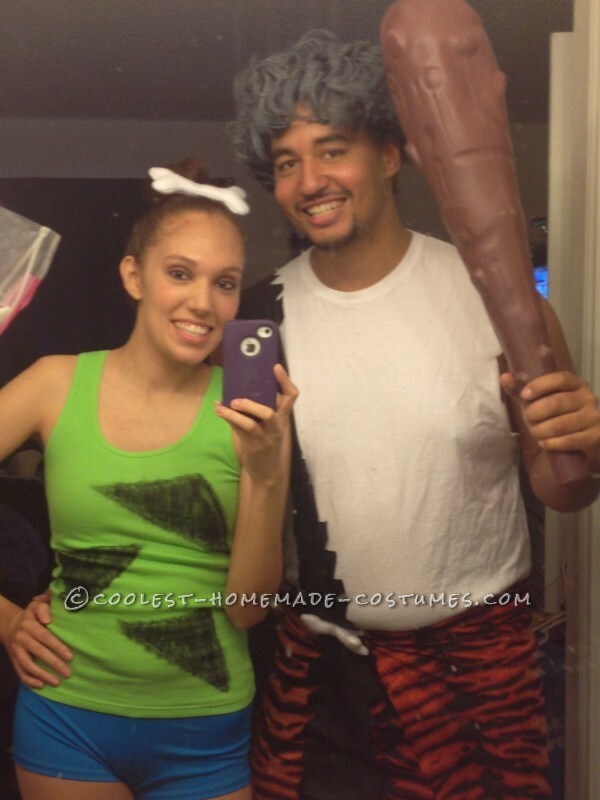 Along with that, he went and bought a plastic caveman club for $6.99 at Halloween City. Party City was completely out of caveman accessories at the time. Halloween night he got an old white undershirt and cut it up to wear. We live in Ft. Worth, TX so Halloween night weather-wise is always a coin toss. It can be super cold or super-hot. 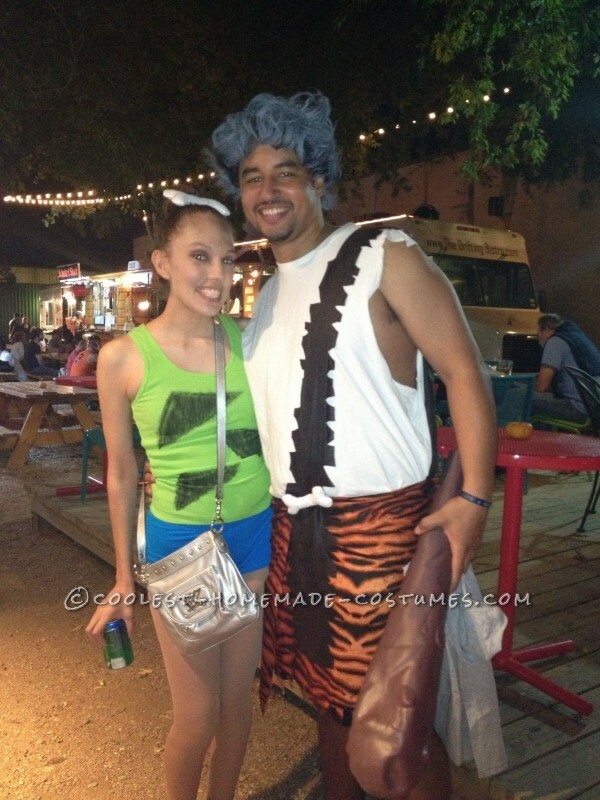 This Halloween ended up being nice!